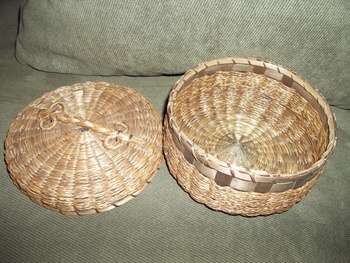 In Native American > Native American Baskets > Show & Tell and Sewing > Sewing Boxes and Baskets > Show & Tell. 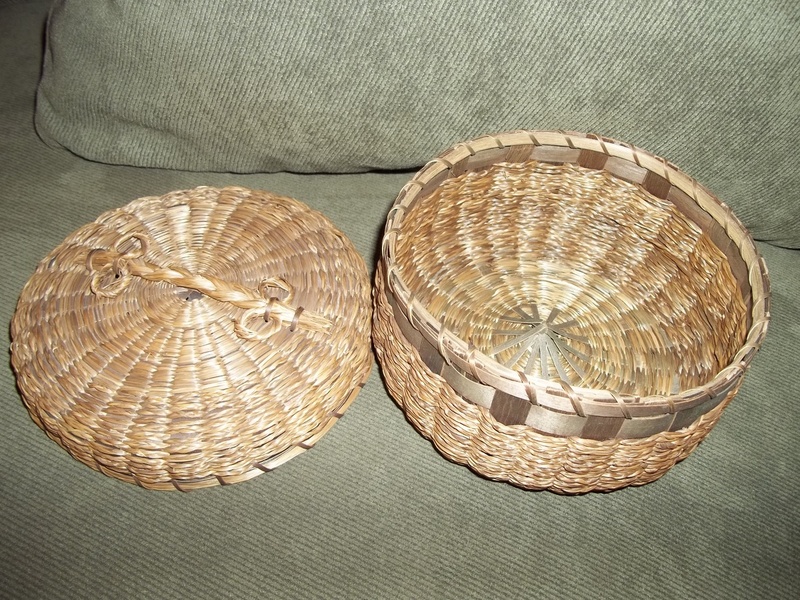 was now selling some of her mothers items. 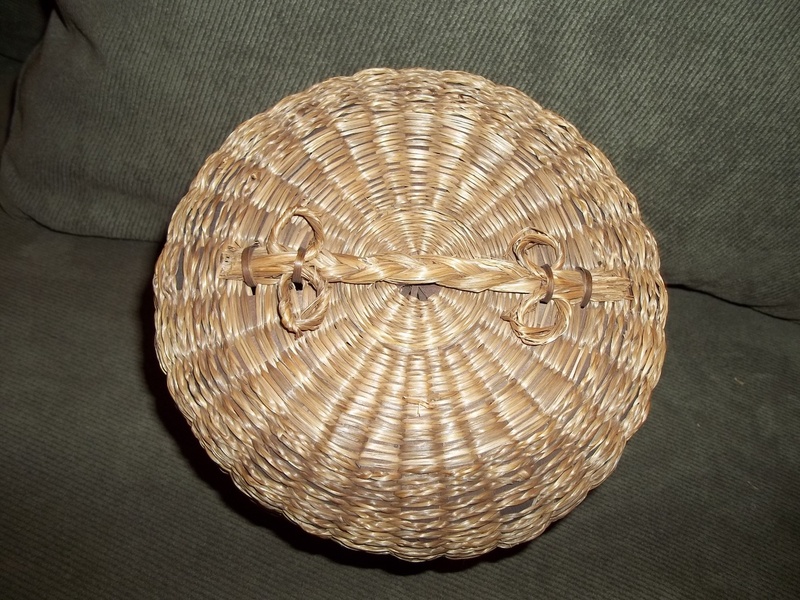 This basket is 6" in diameter and 3" high. Lid is 6.5" in diameter and 1.5" high to the top of the handle (It appears that the handle was never used as it lies flat on the top of the lid.). 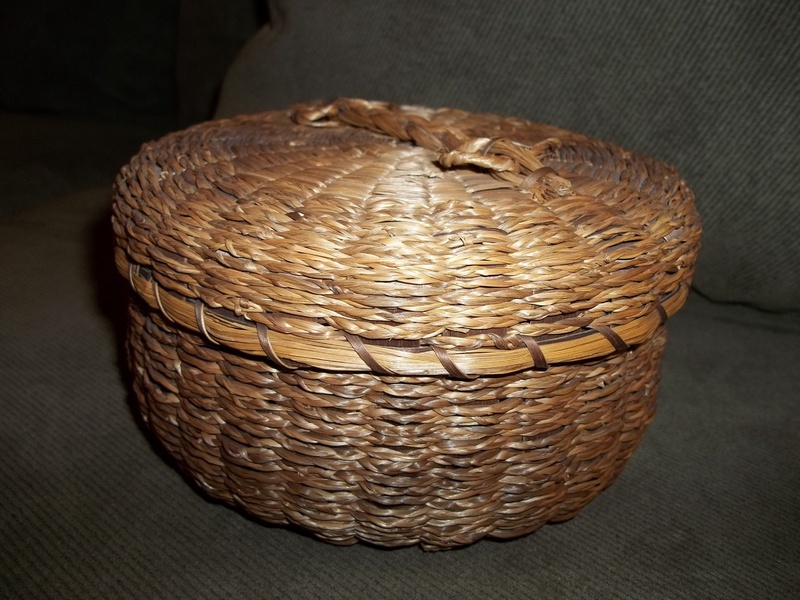 It is in great shape for it's age, it has bentwood around the bottom woven rim and the tiny braiding that surrounds this basket must have taken the weaver a good amount of time to finish. 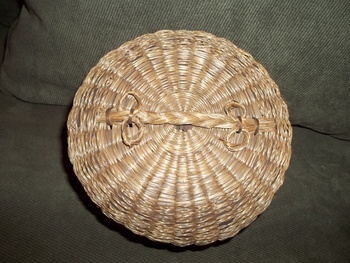 The coloring on the basket tells me that the wood splints were dyed before they were used to make this basket. The artist used Walnut shells that were cooked in water over a fire until the water was brown, and the wood splints placed in to soak in the color. I love the old way of coloring the wood splints using natural items in nature. I think the color ages wonderfully over the years, and they become what collectors call, "polychrome" for the shiny, deep coloring that comes from natural color dye methods. The weaver clearly, from the way this basket was made, was a master basket maker and I am glad that I was able to find this. 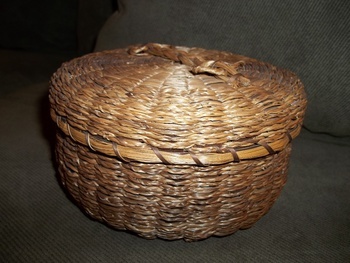 This basket came with sewing accessories and I will put pics up of them also. With all that came with this basket I am just really happy to have them all in my collection.